Rachel Alexandrou has been a regular contributor to Greenhorns New Farmers Almanac over the years. Her stunning work will be shown in a solo art show on April 13th in Portland Maine at Oxbow Brewery’s Gallery 49. 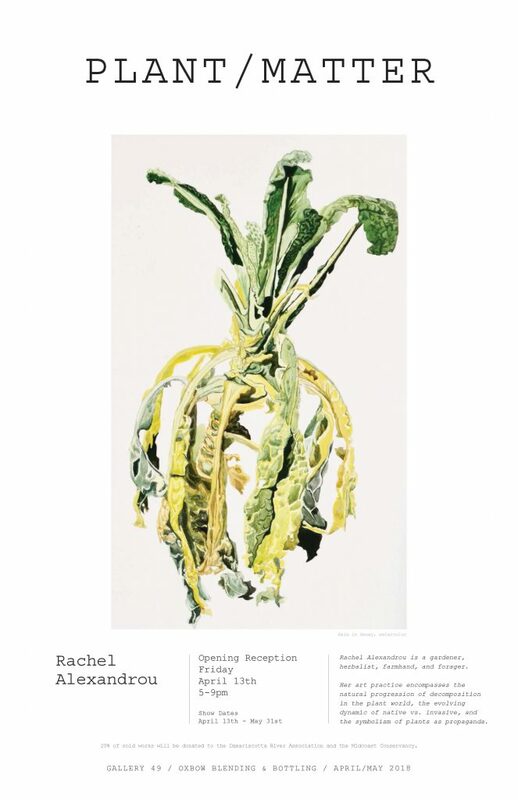 Rachel’s current work focuses on concepts of decay, plant matter and herbarium specimens. 20% of the proceeds of the show will be kindly donated by Rachel to two land trust in the area, the Damariscotta River Association and Midcoast Conservancy. Please support this wonderful artist and the equally wonderful cause that she has chosen.